DerbyBox.com was established with the Thoroughbred Racing Fan in mind. 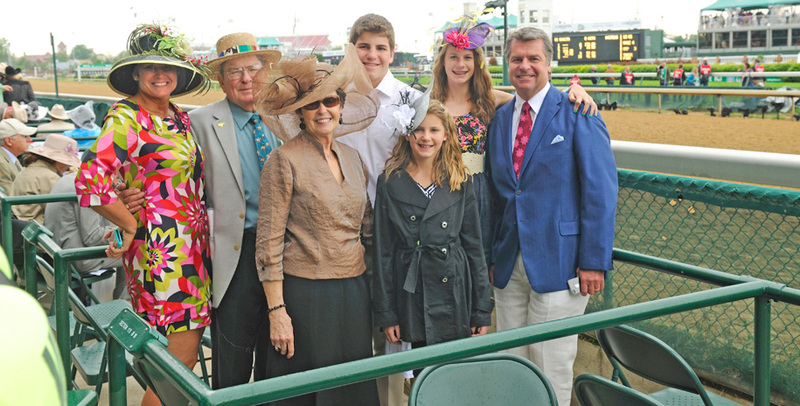 Based in Louisville, Kentucky and knowing the importance of the Thoroughbred racing industry to Kentucky, DerbyBox.com strives to provide the Thoroughbred Racing Fan with the ultimate in preferred seating and experiences to all of racings premier events, including sold-out events. DerbyBox.com is also very concerned with the welfare of the racing industry and we feel it is our part not only to provide this unique service to the existing racing fans but to also introduce the sport to as many potential new fans as possible to help grow our sport. When you travel or purchase from DerbyBox.com you can expect unbeatable selection, exceptional service and the utmost in security. We specialize providing seating accommodations and all inclusive travel packages for such sold-out events as the Kentucky Derby and Breeders Cup. Not only can we provide the premier seats but we can also assist with hotels, transportation, dinning options, party information, backside tours etc. It's DerbyBox.com's mission to be responsive to the Thoroughbred Racing fans needs and provide 1st class service in a professional manner that is consistent with the fine traditions of Thoroughbred racing. DerbyBox.com is in no way affiliated with Churchill Downs or Ticketmaster. We are a privately run corporation with offices in Jeffersonville, Indiana. Our Telephone number is 812-282-7673. We sell ticket packages. Our prices on packages are (in most cases) above the face value of the amount printed on the ticket. The amounts we charge reflect our acquisition costs and the additional items which make up the packages. Most of our sales are via the internet and our terminals, processing centers and web servers are in states where secondary market ticket sales are legal. We conduct business within every aspect of the law and are represented by counsel specializing in this type of travel and entertainment business. If you have any questions about our business, we can provide references, our accounting firm and our attorney's office.